Can you believe there are just a few more days left before Christmas? Towards the end of the year the days seem to race and you finish this and accomplish that and suddenly it’s Christmas. And before you’re all done with the food feast and unwrapping your presents, it’s New Year’s Eve. And then a new year starts, new projects, new resolutions, new challenges. But hey, it seems I’m racing here, too. So let’s slow it down a bit and wallow in the joyous pre-holidays season. 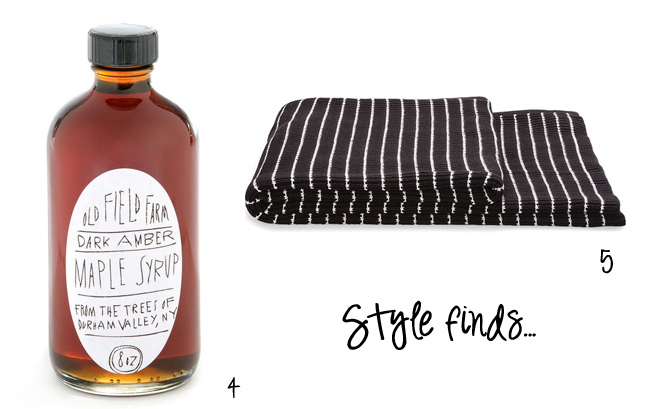 And to sweeten the pot, I’ve curated five stylish finds for the festive home. 1. The ‘Surface Tension Lamp‘ by Swedish design group Front is a masterpiece of lightness and style. The bulbs resemble airy soap bubbles and add a sense of sophistication to the room. Love them clustered. 2. The bottle shaped candleholders by Peter van de Water look stunningly sleek on a sideboard or coffee table. 3. A dash of festive glam for the home is just right during holidays. I love the Form Bowl Set by Tom Dixon. 4. How about a happy Christmas breakfast with homemade pancakes and yummy maple syrup? Yes. But I want the Old Field Farm maple syrup with the fab designy packaging. 5. Cuddle up with your beloved one, this warm blanket by Country Road and a cup of hot cocoa and rejoice in the best present ever – more time for each other. hello to those pendants!! 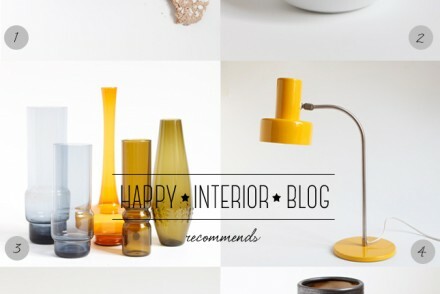 Love the organic shape of the glass bubbles and cant we talk about the gold bowls? 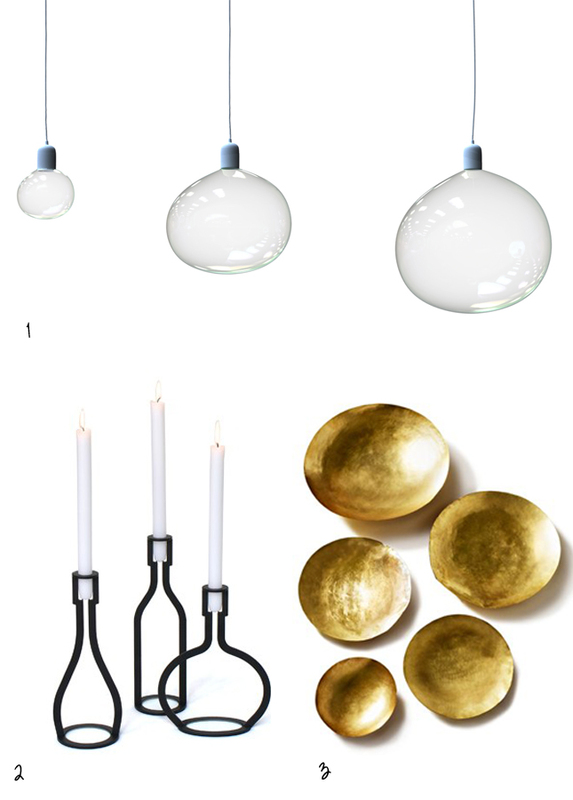 Tom Dixon … I LOVE U! I go for the marple syrup. Now it has been 7 months that we are in SF, but I haven’t tried any pancakes with marple Syrup yet. Shame on me. Οι λάμπες μοιαζουν με φούσκες απο σαπουνάδα. Oh Igor I just love your picks. 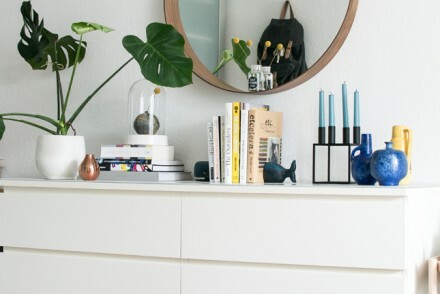 That lamps are georgeous and would love to own them, and that lovely striped blanket to. No, I cannot believe Christmas is so close, ah! I’d go for the maple syrup. It’s the only thing that is missing every time we are having pancakes for breakfast. By the way, those surface tension lamps are beautiful. They’re good in the living room setting. From Paris With Love…A Gift For You!